Richard Hatton, also known as The Hitman, is a former British professional boxer, currently working as a trainer and boxing promoter. During his career (1997-2009) he has won multiple light-welterweight titles, as well as one welterweight title. The boxing website BoxRec ranked Hatton as the best British light-welterweight, as the third best in Europe and eleventh worldwide. Born on the 6th October 1978 in Stockport Ricky Hatton grew up in Hyde, Greater Manchester where he started his training at the age of ten. By the age of thirteen, he had already won his first national amateur title. During the following years after winning numerous national titles, Hatton became known as one of the best amateur boxers in the country. Hatton’s boxing record is filled with many titles. He started his professional career on 10th September 1997 fighting and subsequently winning against Colin McAuley at the Kingsway Leisure Centre in Widnes. He earned his first international title (the WBO inter-continental light-welterweight) defeating Dillion Carew in 1999. After gaining the WBO belt, he won his next four fights within four hands. The first time in Hatton’s career that has seen his opponent needing six rounds to win, was a match against Jon Thaxton for the British title. During the fight he got a cut over his left eye, which was the fourth he had gotten over the same eye, prompting him to get plastic surgery. After he recovered, he fought Tony Pep and earned the World Boxing Union. On November 25th 2005 even though being considered the underdog in a match against Kostya Tszyu, who at that time was The Ring & IBF Light Welterweight Champion, Hatton managed to beat him. His victory was a big surprise, and it is regarded as one of the best wins in the past 20 years by an English boxer. The following year in December he was named the 2005 Fighter of the Year by Ring Magazine. 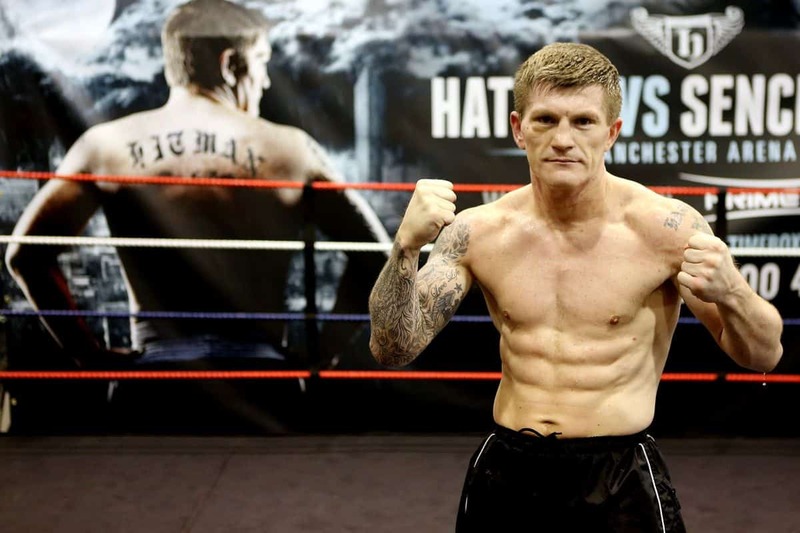 You can continue reading more Ricky Hatton News and his Biography here.